Think you don’t have enough space in your home? Think again, because if there are nooks, crannies, furniture pieces, or any other elements in your home that are not helping out with storage, then you are definitely not making the most of your home’s existing spaces. Most (if not all) of us could use a little bit more room in our homes, but not all of us have the means of knocking down a wall or building a loft. Well don’t worry, for these 11 brilliant tips we are bringing you won’t require a majestic budget at all. So, sit back, and check which of these you will be using to stretch your home’s existing space just that little bit further. What else are you going to use that space underneath your bed for? You may as well opt for some built-in drawers and shove your shoes, seasonal clothing, photo albums, or whatever else in there. Running out of cupboard space (or not enough room for a vanity) in the bathroom? 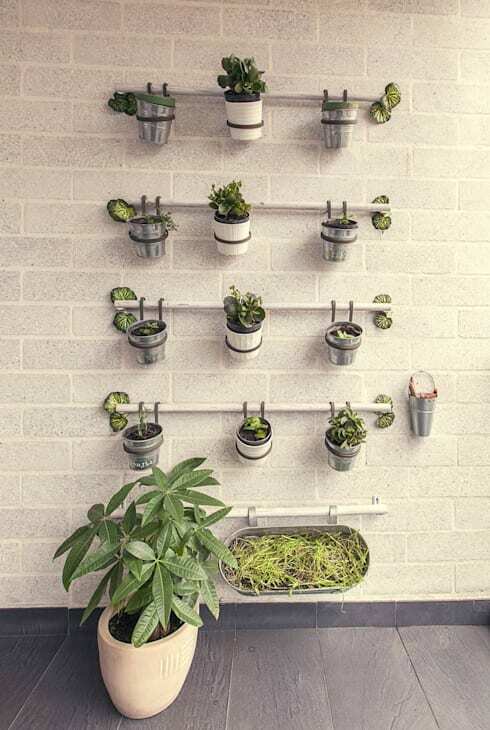 Wall hooks with hanging baskets/packages are ideal for storing bathroom accessories and toiletries. Treat each family member to his/her own one, and make them responsible for keeping them clean and tidy. Love your selection of potted plants? There's no rule which states that they need to go on the floor. 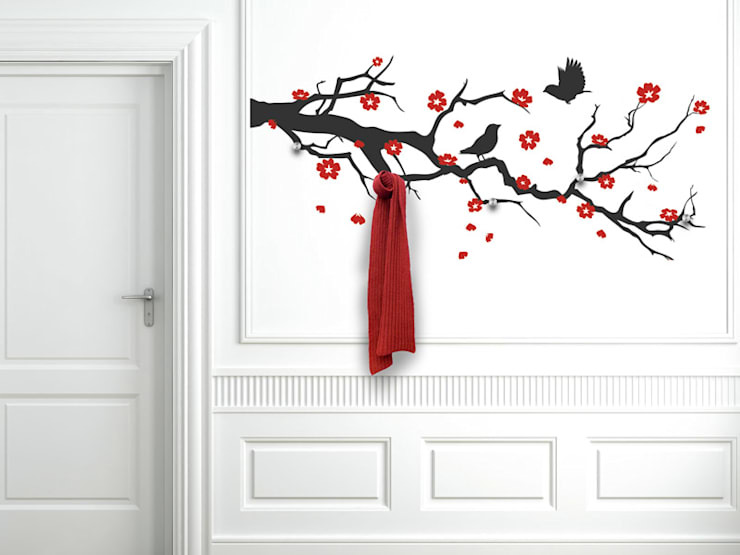 Allow them to play the part of beautiful and fresh wall art, and free up some legroom on your floors. 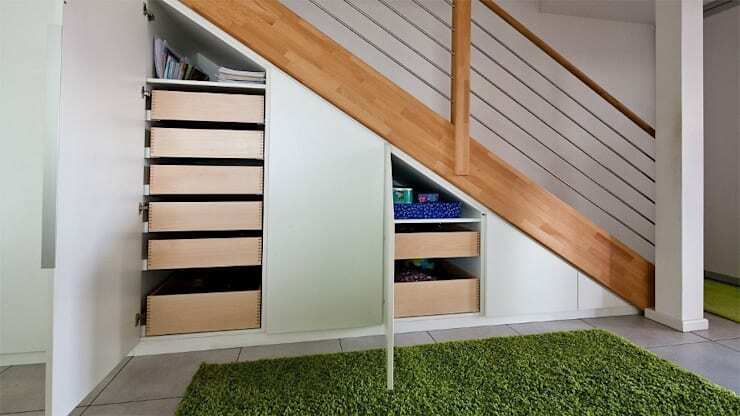 That space underneath the stairs goes wasted far too often. Rather let a professional assist you with some built-in drawers and cupboards to help out with your storage problem, or use it as a décor spot for a credenza with some family photos, for example. Why take up more space with a bulky closet when a few wall hooks can work equally well for hanging up those jackets, scarves, and hats? 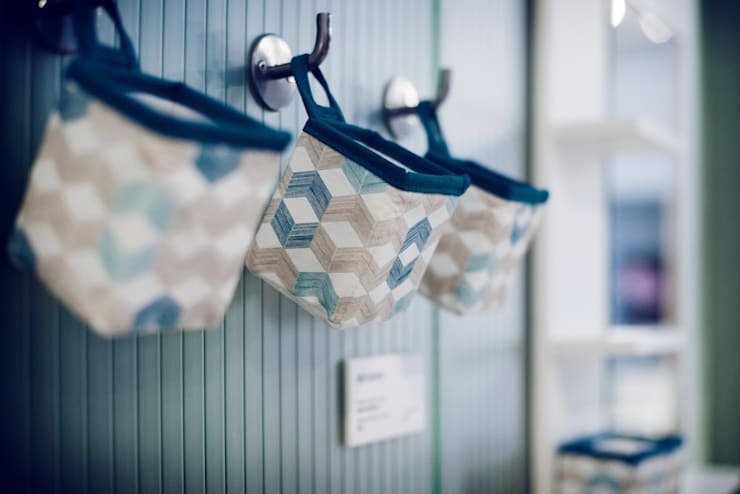 See how beautifully the designers opted to include the hooks in the wall mural above. 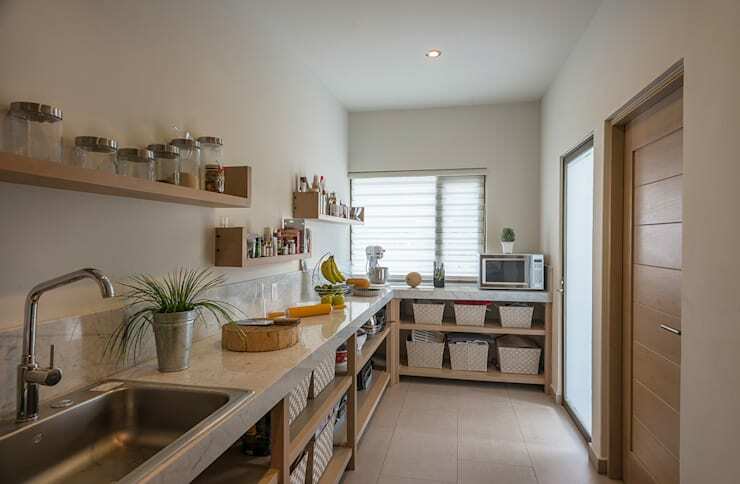 Any item in the kitchen that’s not being used needs to go, as it is wasting valuable space. For the rest, rethink your storage system if it’s in a state of clutter: do you need to include some storage baskets under the sink? How about adding in a shelf or two? 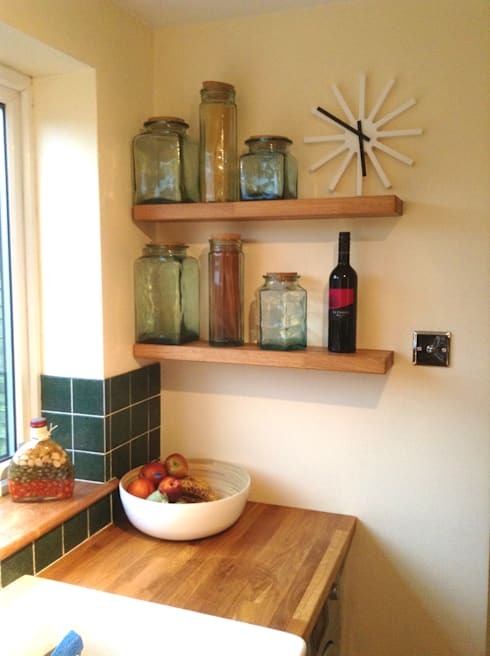 Corners are almost always underused, but can serve up some excellent space for shelves, especially in your kitchen. 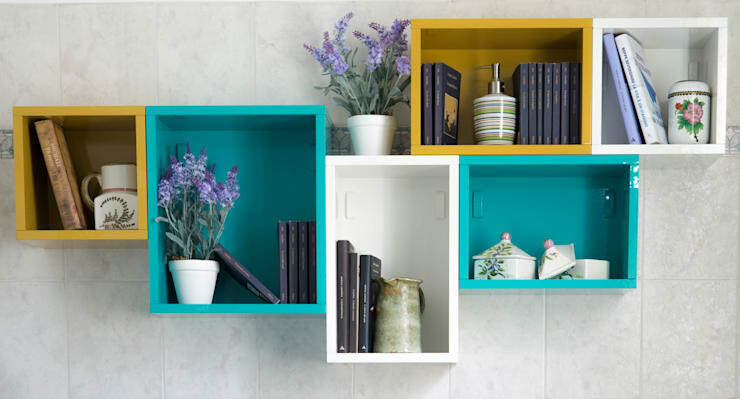 Use these corner shelves for your cutlery, crockery, pastas and spices, or any other items that don’t fit into your already-full cupboards and drawers. Free up some bathroom floor space by having simple boxes (even wooden pallets) serve as open-storage areas. Sand them neatly, paint them in your colours of choice, and stick/nail them where they need to go. Couldn't be easier! 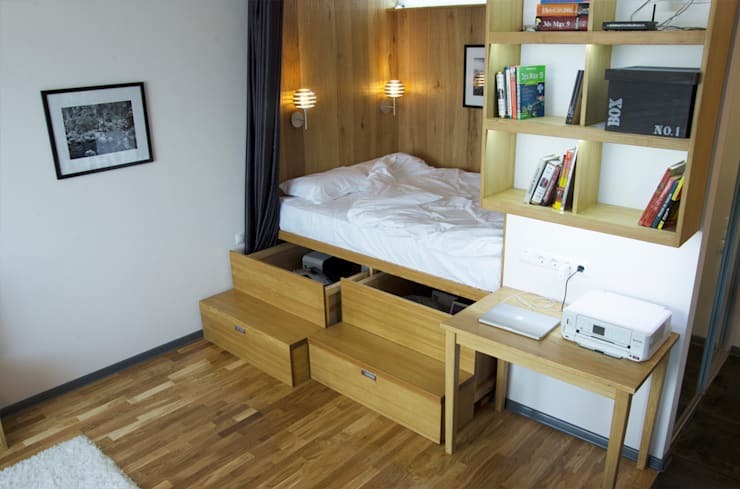 Want a little area in your house where you can do some work, yet don’t have the space for extra furniture? 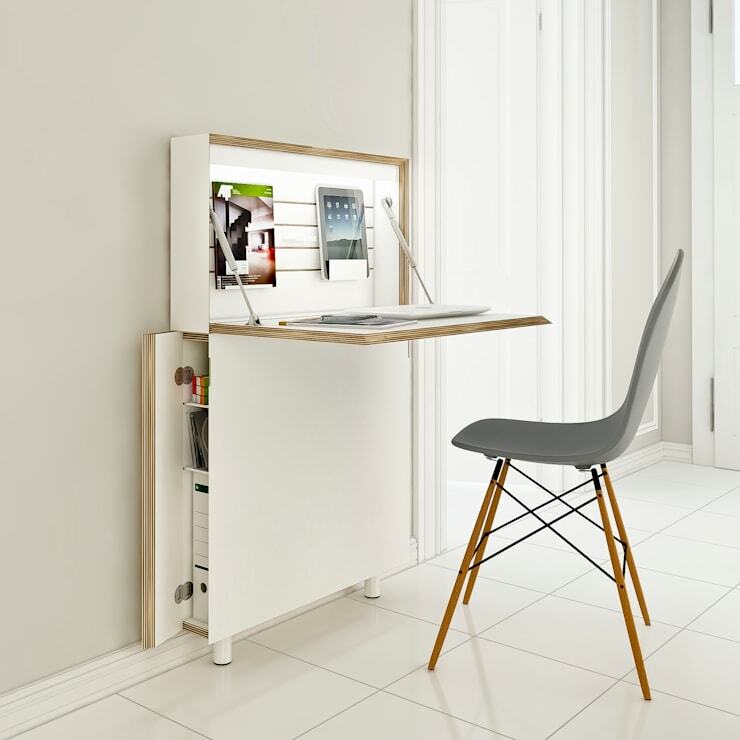 A folding desk is the answer, as it’s compact, appealing, and very modern. And check out this little beauty’s clever storage compartment along the side. 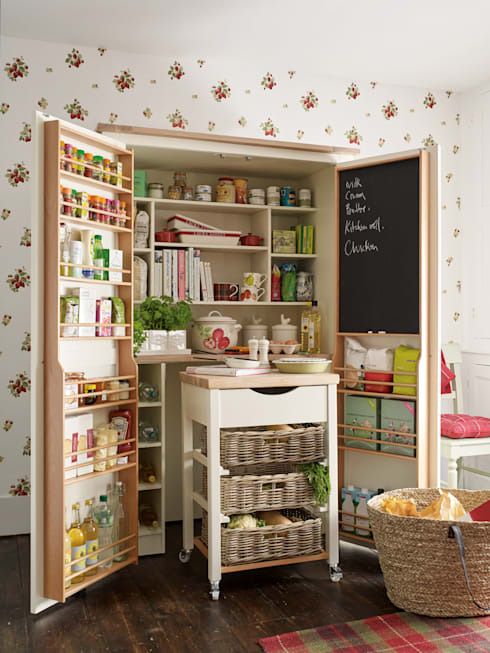 Add racking to the inside of cupboard doors. A few nails, a hammer, and a little bit of elbow grease—easy peasy! An ottoman can help with seating, but also with storage. It can also play the part of a table top for when you want to place a decor piece on it. Who doesn't love double (or in this case, 'triple')-duty furniture? Looking for some more style ideas for your living room? Then check out: Stylish carcass furniture for the living room. Which of these tips will you be trying out at home?